I have worked with Vaso at LGI Linens so many times for specialty linens for clients! Vaso truly carries linens no one else does! 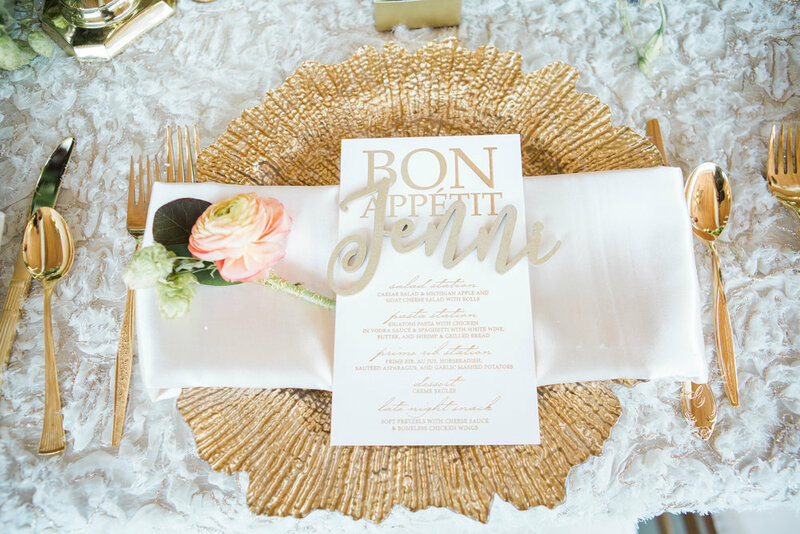 His diverse array of linens was the perfect accompaniment for all the other fabulous details we'd selected! Each piece of a wedding builds on the next and linens are the base of it all. 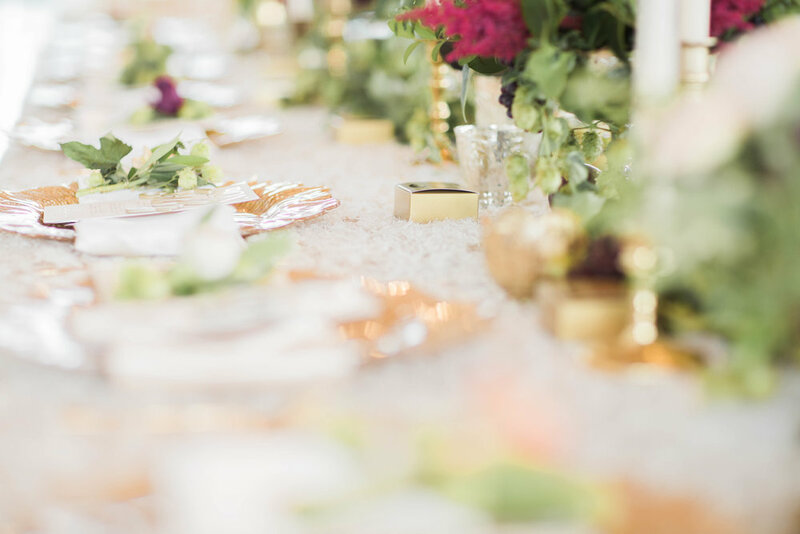 Vaso's heavenly ivory patina linen with gold woven through it made the perfect backdrop for all our other details from chargers to chairs and flowers! See the beautiful images below!